Phu Pha Thoep National Park: Trail head up the cliff to fabulous rock formations at Phu Pha Thoep Natiional Park, Mukdahan province. 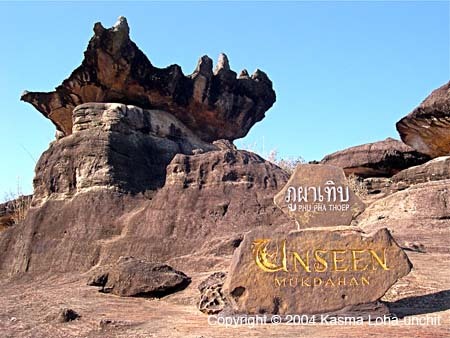 Note: Kasma Loha-unchit took these pictures on her January 1999 trip and on a private 2004 trip to northeastern Thailand. You can find out trip information or check out the Trip NE Itinerary.